The Hanging Pendant Floor Lamp is a humorous take on the idea of a hanging pendant resting on glass and appearing somewhere in space. The six-inch diameter globe is held in place by a custom brass ring and thumb screw. 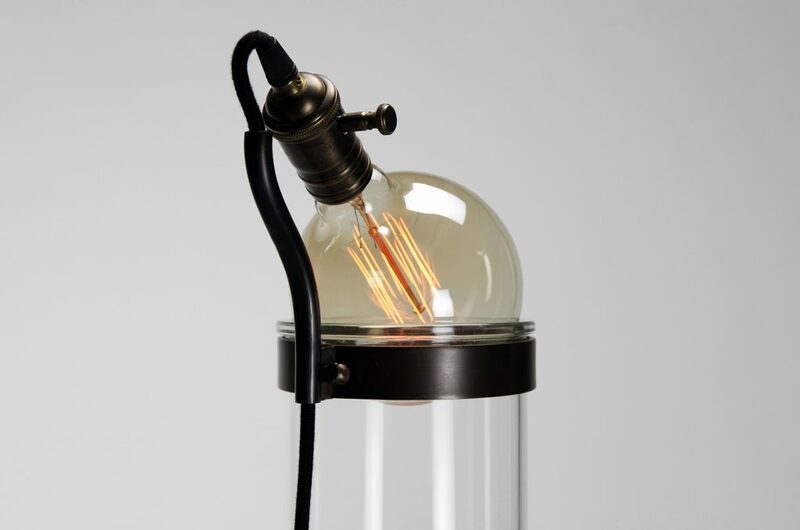 The brass socket has a full range dimmer knob that is connected to black fabric covered cord. 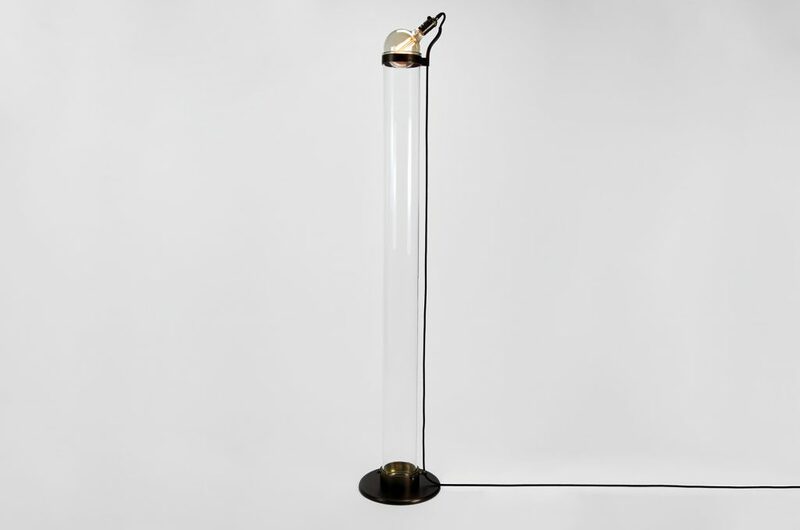 The glass tube is strong and set into the solid brass base making the lamp extremely stable. 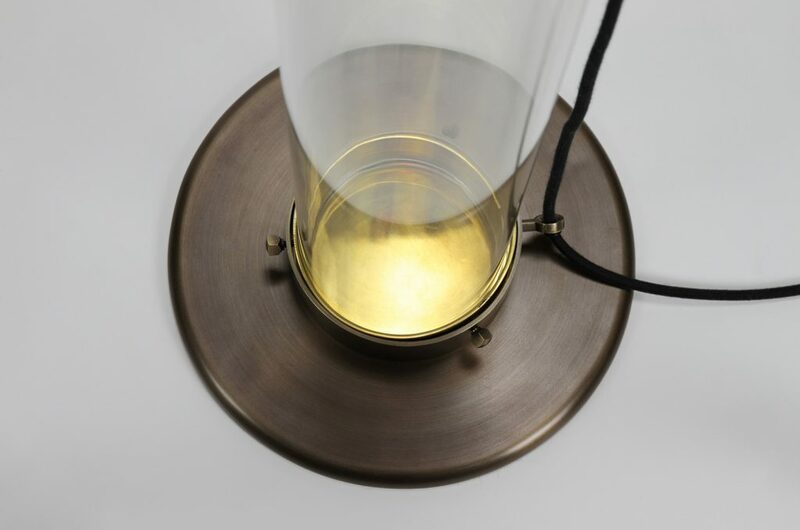 A brass ring fits around the glass tube and tightens with three custom thumb screws. 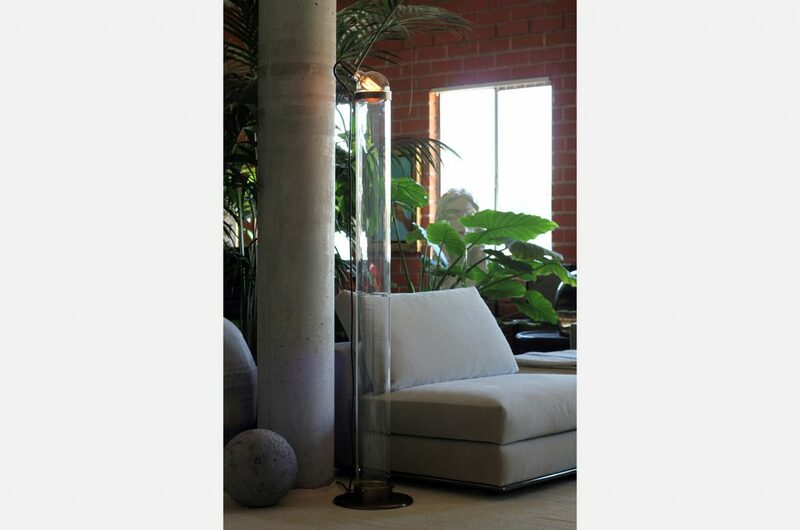 The center of the base is high polished to reflect the light. The cord system allows it to be kept taught by pushing the rubber up the cord.